Living in the city of Chicago certainly has its perks when bringing up teenagers and Steppenwolf for Young Adults is at the top of the list when bringing the world of culture to their fingertips. 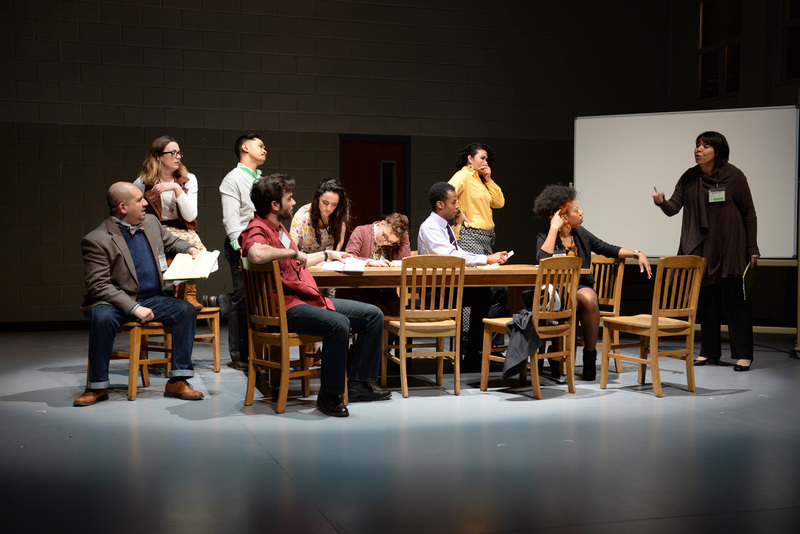 We recently saw the world premiere production of The Compass directed by Michael Rohd and it’s truly one of those plays that the parents can enjoy just as much as the teens. What would you do if you didn’t have to make decisions anymore? What if you had an app on your phone that would tell you just what you would do in any situation? This is the ultimate story line of The Compass as we follow high school student Marjan who is on trial for a decision the app helped her make. We follow Marjan’s story that switches back and forth from real-time to back-in-time when she would make that decision—taking us through the trial. We, the audience become part of the jury so to speak, as this interactive play pauses and questions us: what would we do and what are you ultimately responsible for? 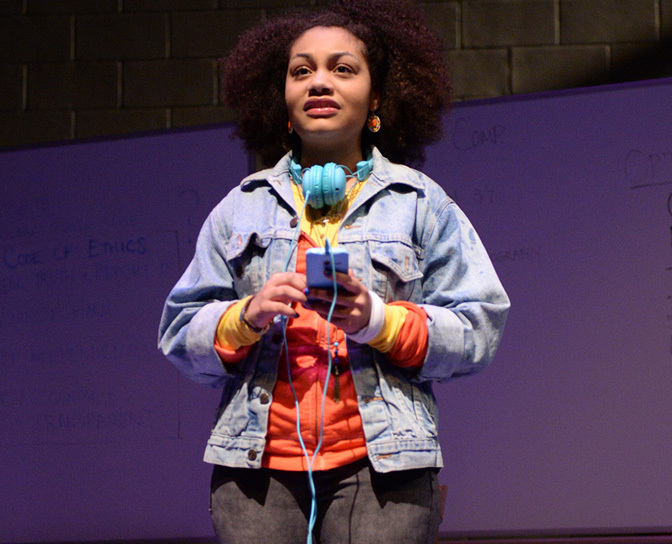 Not only will you learn a lot about yourself—but you’ll see the decision making of your teen and their thought process throughout the production—not something parents of teens can always enjoy! Learn the fate of Marjan and learn more about The Compass at www.steppenwolf.org. Enjoy performances ($15-$20) Saturday, February 27th at 3 p.m. and 7:30 p.m.; Friday, March 4th at 7:30 p.m.; Saturday, March 5th at 3 p.m.; Friday, March 11th at 7:30 p.m.; and Saturday, March 12th at 3 p.m.